Rahul Gandhi and his sister Priyanka were expected to address joint rally in Saharanpur last week but they had to cancel their program due to bad weather. 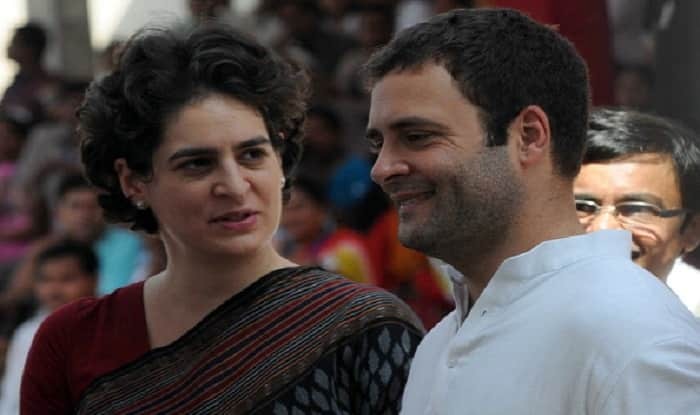 New Delhi: Congress president Rahul Gandhi along with his sister and party’s general secretary for Uttar Pradesh (East) Priyanka Gandhi Vadra will hold a joint rally at Fatehpur Sikri Lok Sabha seat in Agra, along with Jyotiraditya Scindia who is in charge of UP West on Monday. The trio is expected to hold a roadshow in support of Congress candidate Raj Babbar. Besides, the Congress leaders are also expected to address joint rallies in Aligarh and Nagina Lok Sabha seats on the same day. All the three seats (Fatehpur Sikri, Aligarh and Nagina) in Uttar Pradesh will vote in the second phase of Lok Sabha elections on April 18. The counting of votes will take place on May 23. Earlier on April 8, Rahul Gandhi and Priyanka Gandhi Vadra had to cancel their three poll events in Shamli, Bijnor and Saharanpur diricts of Uttar Pradesh due to bad weather. Rahul, Priyanka along with Scindia were expected to address three rallies there. Polling in Shamli, Bijnor and Saharanpur took place in the first phase of general elections on April 11. There are 80 Lok Sabha seats at stake in Uttar Pradesh, polling for which will be held in all seven phases. The results will be declared on May 23.